Someone (I’ll call her Ann) wrote me last week asking: Is there any recent info I can pass along to my Vet – he says titres are not reliable and he will not do them. Yikes. He-will-not-do-them? Titer testing — a simple blood draw to test immunity to a disease — is an absolutely safe procedure. 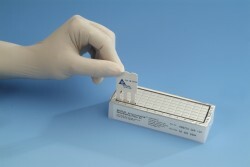 You can test titers (antibody) levels to determine if an animal (or human) already has immunity to particular diseases and doesn’t need “boosters.” The most commonly tested titers are for parvovirus and distemper, the two most important diseases, and also rabies in certain instances. Don’t waste your money on anything else. Even if Ann’s vet thinks titer testing is unreliable and a waste of time and money, it is her money and her responsibility to keep her dog healthy. Not his. His job, in this instance, is to draw blood and offer advice if asked. After testing, it is up to Ann to determine the weight to give to the results. She can then allow her vet to vaccinate if he wants. Or not. Incidentally, Ann could have any vet or vet tech draw blood. She could send the blood sample to a lab (like my favorite, hemopet.org). They’ll perform the test and an expert will interpret the results. From that point on, she can solicit her vet’s input. Or not. Although most enlightened veterinarians will happily test titers, too many, like Ann’s vet, refuse to test or will belittle results. Others avoid confrontation by charging astronomical rates. A parvovirus/distemper titer test should cost around $50-60; a rabies titer (not for export) should cost around $100. Add to this, around $25 for a blood draw; some tests in some locations may also require a shipping expense. If your vet is charging much more than that, he/she is just trying to discourage (and/or take advantage of) you. But isn’t vaccinating cheaper than testing? Testing your pup after her “puppy shots” tells you if immunity was achieved, potentially eliminating unnecessary revaccination. (Remember, every vaccine brings with it the potential for adverse reactions, ranging from a fever to even death.) Testing a new adult dog, or a dog with unknown vaccination history, helps determine if further vaccination is necessary and tells you which vaccines, if any, to give. In the US, most experts recommend testing for parvovirus and distemper. Most other vaccines are either unnecessary in many areas or don’t confer immunity long enough to bother testing. 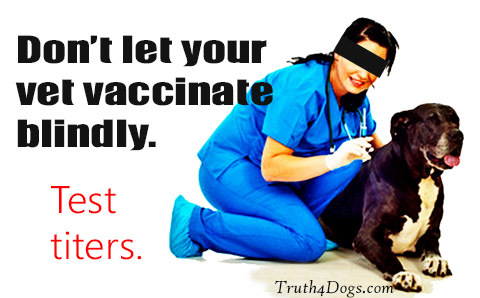 At this time, titer testing is NOT a legal substitute for rabies vaccination.